Leeds has long been known as a city which makes a great destination for a good night out; the lively locals mix with a large university population and the result is an eclectic mix of nightspots and pubs which offers something for everyone. There are not too many casinos in Leeds but there should be enough to keep you busy if you’re visiting this great northern city for the weekend. 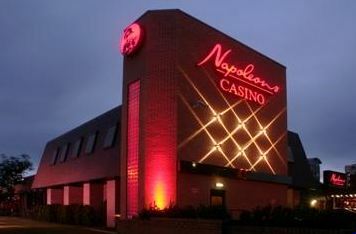 Napoleon’s have a number of casinos spread around Yorkshire and there’s also venues in Hull and London. They’re the biggest casino in Leeds and they’re sited just to north side of West Street – Gala Casino is the opposite side of this street and there’s free parking for customers. There are currently 18 slot machines and a couple of Fixed Odds Betting Terminals. IGT games are the order of the day with titles such as Cleopatra and Treasures Of Troy. The good news for slots fans is that from Sunday to Wednesday every week, you can enter the free tournaments with the chance of winning cash prizes for the best performance on the reels. Napoleon’s is now open 24 hours at the weekends but only from 1pm – 8am during the week and there’s a classy restaurant for when you want some sustenance. Of course there’s a Grosvenor casino in Leeds centre and this one is situated on Wellington Bridge Street and actually not too far from the Napoleon. It’s a 24 hour venue which is always good and it contains the usual selection of twenty or so IGT slots for your convenience. There’s a bar and a restaurant for when the need for food and drink catches up with you and a dedicated car park for customers.